Good news? 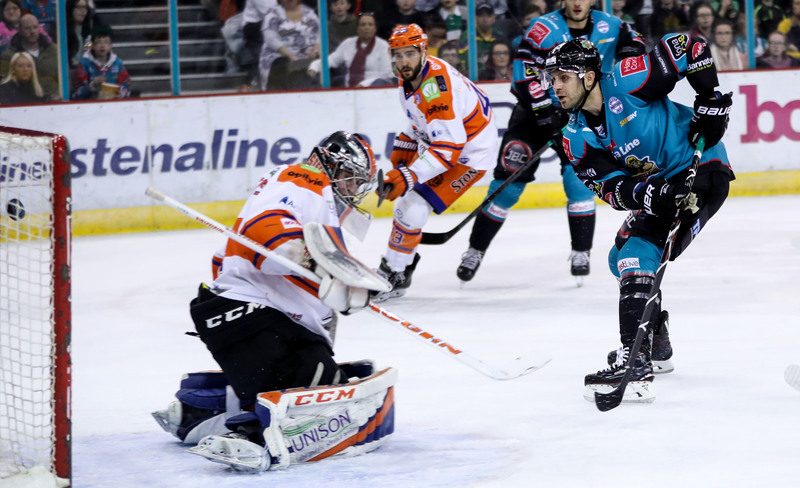 Sunday’s visit from the Sheffield Steelers was #BannerNight at the SSE, as the Belfast Giants unveiled the 10th Championship banner to hang from the rafters following a successive Challenge Cup win a few weeks ago. And the bad. 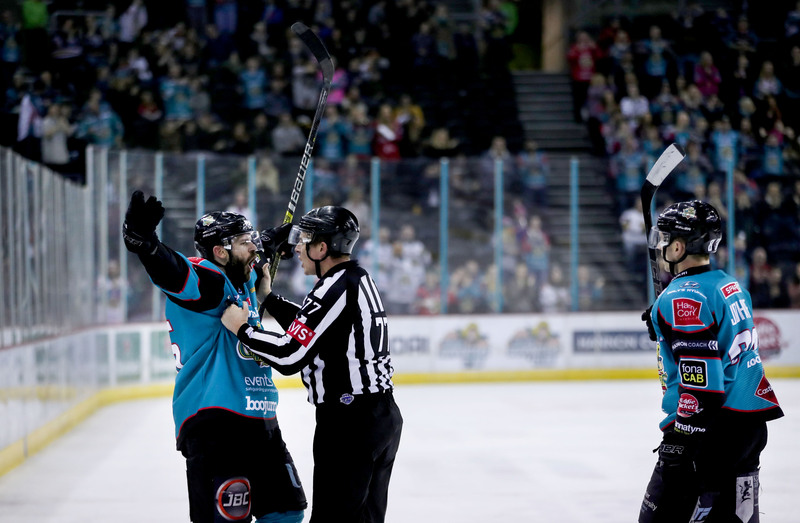 The now six point gap between the trailing Belfast Giants and the league leading Cardiff Devils, despite Belfast’s game-in-hand, had gone some way in placing one Welsh hand on the EIHL League Championship, ahead of their own face off against the Dundee Stars. Whether you believe in miracles or not, a healthy crowd filed into the barn for the 4pm faceoff- keen to back their side until the maths says it’s over. Stephen Murphy and David Rutherford joined long term lay up Guillaume Gelinas on the Giants scratch list, while defensemen Jordan Griffin and Mark Matheson did not ice for Sheffield. As a stale first period ticked down, Jonas Westerling headed to the box for a cross check, sending Belfast onto the power play. Jackson Whistle’s left post was struck with intent early on, but very little meaningful offense followed. With just 11 seconds left in the period, Sheffield were awarded their first power play of the night courtesy of Dustin Johner and an interference call. Sheffield’s bench minor for too many men at 29.25 (served by DeLuca) handed Belfast the man advantage. 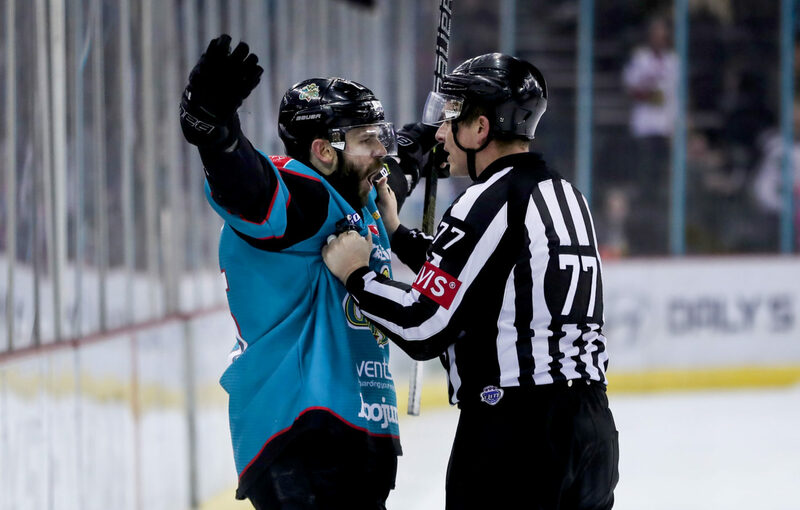 Despite a huge chance early on their zone battle was fragmented in the first minute, before Josh Pitt tripped Jim Vandermeer to send Belfast onto an unsuccessful 5 on 3. A Paul Swindlehurst slashing call at 34.44 was doubled up by a Jonathan Ferland faceoff violation to hand Sheffield a full 2 minute 5 on 3 power play, much to the chagrin of the home fans. A physical and stubborn Giants saw it out, before Blair Riley earned himself one of the more bizarre tripping calls you’ll see this season. 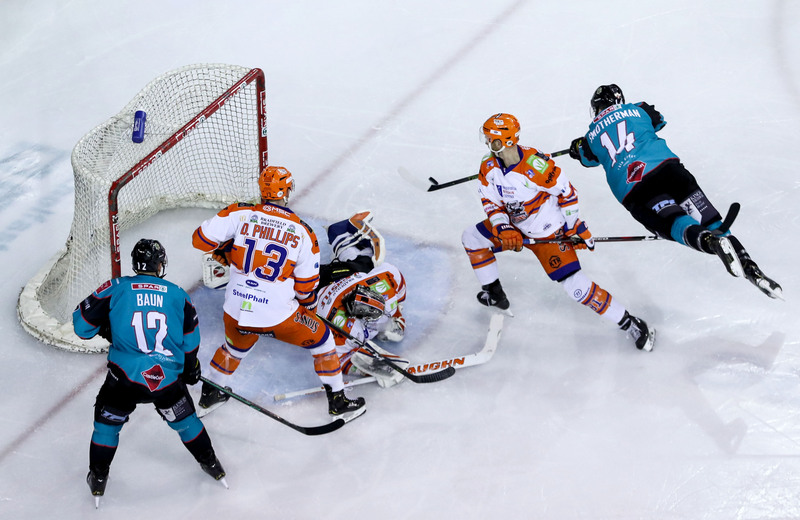 The Giants endured once again, and as Jordan Smotherman drove forward into the zone, a red hot Riley emerged from the box at 39.17- finishing, and celebrating, with venom. (3-0). 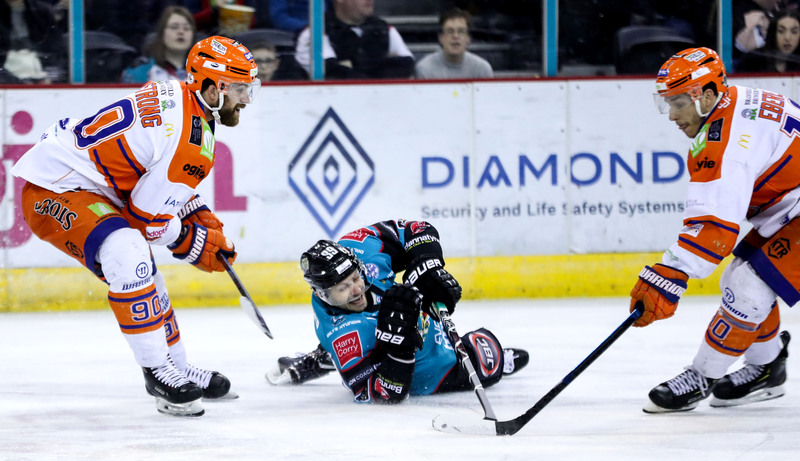 A Brandon Whistle tripping call was blanked by Sheffield’s kill unit moments later. 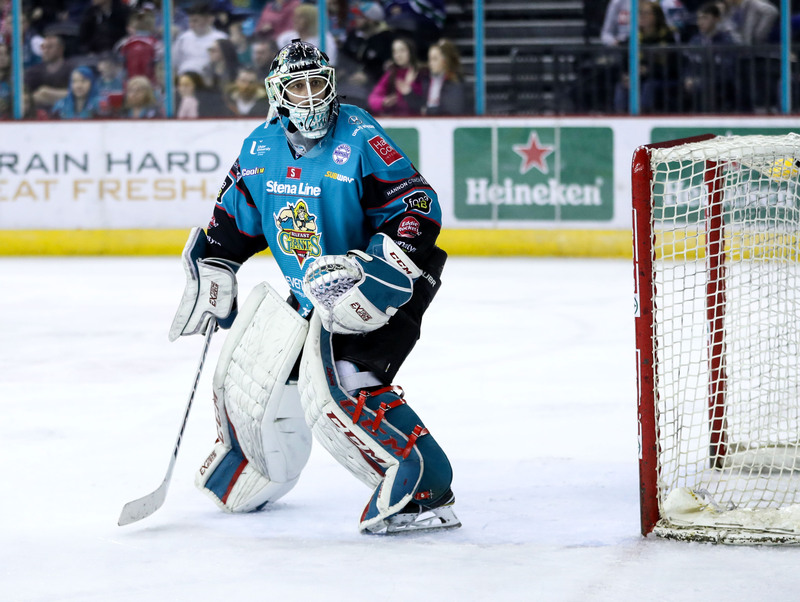 The lead was enough to send Tyler Beskorowany down the tunnel, handing Northern Ireland’s own Andrew Dickson the final ten minutes of the game in goal for Belfast to deafening cheers. 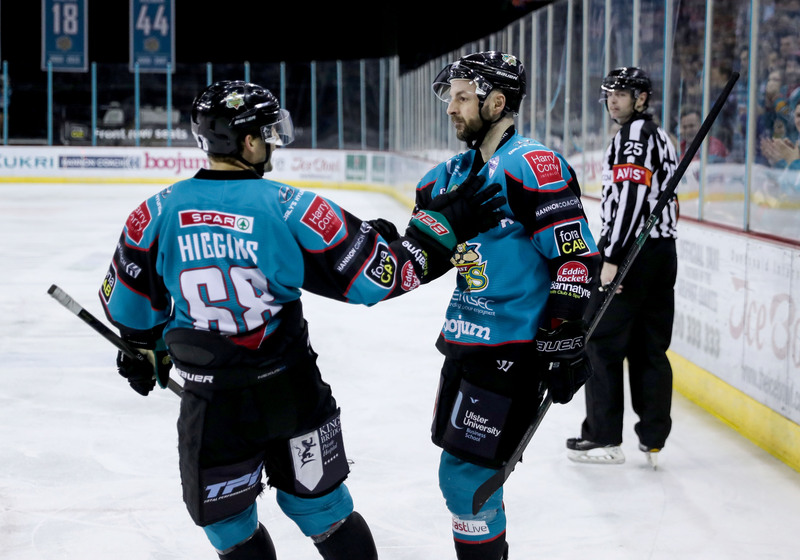 However, as the game entered its final two minutes, the same Dickson flashed the glove high on Robert Dowd for a razor sharp save to preserve a defiant 5-1 win for Adam Keefe’s men in Teal. Meanwhile, some 30 minutes later in Dundee, the Stars stood tall taking a huge 3-1 win over Cardiff.